CRANE, WILLIAM, merchant, justice of the peace, judge, and politician; b. 15 Feb. 1785 in Horton Township, N.S., sixth child of Colonel Jonathan Crane and Rebecca Allison; m. first 1813 Susannah Dixon (d. 1830) of Amherst, N.S., and they had one daughter; m. secondly 25 Oct. 1838 Eliza Wood of London, and they had four daughters and two sons; d. 31 March 1853 in Fredericton. After attending school in Horton, William Crane moved to Westmorland County, N.B., some time during the first decade of the 19th century. He commenced business as a merchant in Westcock but soon transferred his interests to the larger centre of Sackville. There, in partnership with Bardin Turner, he traded for almost a decade, until 1819. He then joined his younger cousin, Charles Frederick Allison, in a business venture which was to endure until Crane’s death. The firm of Crane and Allison was a typical enterprise of its day, exchanging local staples for a variety of goods imported from Britain, Halifax, the United States, and Lower Canada. A branch house was established at Miramichi to engage in the important transatlantic trade in timber from that port and to supply the lumbermen of northern New Brunswick with agricultural surpluses from Westmorland County [see Alexander Rankin]. Despite the firm’s extensive trading connections, its business was loosely structured, being conducted on credit through agencies in distant ports. Wooden vessels, owned by Crane and Allison, and built and manned locally, sought markets for New Brunswick timber in British ports, and endeavoured to make paying voyages, often sailing on return by way of New England. Family links were important to the firm’s business. Crane’s nephew Thomas came to Sackville to work in the store; another William Crane ran a schooner on the firm’s account in Northumberland Strait; and the Halifax business was handled, in part, by William B. Fairbanks and John C. Allison, successors to the company run by Enos Collins*. As the firm of Crane and Allison prospered and expanded, its principals assumed leading roles in the Westmorland community. Crane’s rising status is effectively revealed in local marriage and probate records. Signatures he appended as a witness to several documents show him as “William Crane” in 1809, “William Crane . . . merchant” in 1810, and “William Crane Esquire” by 1819. He held the offices of justice of the peace, justice of the quorum, and judge of the Inferior Court of Common Pleas for the county of Westmorland; he was prominent in the local agricultural society, and a leading proponent of improved farming and marshland drainage. The store on “Crane’s Corner” became a Sackville landmark, and the family home near by, built of stone in the late 1830s, was one of the finest in the county. Settlers throughout the Chignecto area looked to Crane for assistance in dealing with distant officialdom in Fredericton, whether for help in securing land grants and timber licences, or for assurance that the line of the “Great Road” would not be altered to the “infinite injury of the County.” Credit at the Crane and Allison store allowed many an individual to acquire everyday necessities which might be paid for with timber in the spring, butter or stock in the fall, or periods of work when circumstances allowed. And Crane provided mortgage financing for settlers from Moncton to Shediac and Baie Verte. 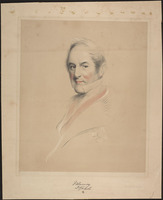 Elected to the New Brunswick House of Assembly in a by-election in 1824, Crane retained his seat in four general elections but was defeated in 1842. He held the speaker’s chair from 1831 to 1835, and was a member of the Executive Council between December 1837 and March 1843. In December 1843 Crane was appointed to the Legislative Council of New Brunswick, but he resigned in 1850 and in July of that year was re-elected to the assembly, where he sat until his death. Crane was again appointed speaker of the house in January 1852, but ill health forced his resignation in March of the following year. In 1836 the House of Assembly appointed Crane and Lemuel Allan Wilmot* as its delegates to the Colonial Office. The assembly wanted to acquire complete control of the public domain and the resulting revenues [see Thomas Baillie*]. 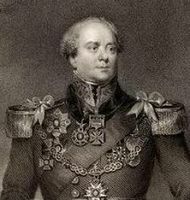 Previous representations to Britain, voicing grievances against the colonial administration, had failed to win acceptable terms, but economic expansion in New Brunswick in the mid 1830s and the appointment of the conciliatory Lord Glenelg as colonial secretary, spurred a further submission to the British government. The house chose its delegates for their temperate attitudes on the issue, and in August and September 1836 Crane and Wilmot settled terms for the provincial legislature’s control of New Brunswick crown lands. Opposition to the transfer of power by Lieutenant Governor Sir Archibald Campbell* and Solicitor General George Frederick Street, who carried his case to England early in 1837, delayed implementation of the arrangements and sent the two delegates to England a second time. 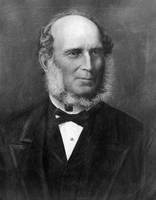 But Campbell had been succeeded by Sir John Harvey, and in July 1837 approval of the civil list gave control of the province’s ungranted lands and the cash assets of the Crown Lands Office to the legislature. New Brunswick thus became solely responsible for the support of its internal government. At Crane’s death, his financial worth exceeded £120,000. Approximately one-tenth of his estate was in bank and other stocks; almost £7,000 derived from scattered real estate holdings – Crane’s own purchases and properties acquired through foreclosures on mortgages. But the greatest part of his wealth lay in debts owing, a reflection of the extent to which Crane’s credit underpinned the cash-scarce, and essentially subsistent, local economy. Crane was a pivotal figure in his developing community. Representative, arbitrator, financier, supplier, employer, and leader in church and community affairs, he became a virtual patriarch in the local society. The mediator between local interests and remote, impersonal bureaucratic and market forces, Crane was a focus of community consciousness, and a prop of the disparate local population’s sense of place in the new and fluid environment of early–19th-century Chignecto. N.B., Legislative Library (Fredericton), Card file, members of the N.B. legislature. N.B. Museum, Crane family, cb doc; N.B. Hist. Soc. papers, Crane & Allison corr., 1834–52; William Crane corr., 1824–52. PANS, MG 3, 300. J. F. W. Johnston, Notes on North America, agricultural, economical, and social (2v., Edinburgh and London, 1851), 2: 83–90. N.B., House of Assembly, Journal, 1824–53. New-Brunswick Courier, 1830–53. New Brunswick Reporter and Fredericton Advertiser, 1844–53. Royal Gazette (Fredericton), 1836–44. W. C. Milner, History of Sackville, New Brunswick (Sackville, 1934). Graeme Wynn, “The assault on the New Brunswick forest, 1780–1850” (phd thesis, Univ. of Toronto, 1974); “Industrialism, entrepreneurship, and opportunity in the New Brunswick timber trade,” The enterprising Canadians: entrepreneurs and economic development in eastern Canada, 1820–1914, ed. L. R. Fisher and E. W. Sager (St John’s, 1979), 5–22. W. S. MacNutt, “The politics of the timber trade in colonial New Brunswick, 1825–40,” CHR, 30 (1949): 47–65. Graeme Wynn, “CRANE, WILLIAM,” in Dictionary of Canadian Biography, vol. 8, University of Toronto/Université Laval, 2003–, accessed April 20, 2019, http://www.biographi.ca/en/bio/crane_william_8E.html.